In a recent Facebook post, Jeremiah Johnson wrote about a chapter in his book in which he talks about abortion. The following is from Chapter 1 of his new best selling book called, "Trump, 2019, and Beyond"
"The night after President Obama was re-elected in November of 2012, God spoke to me in a series of prophetic dreams and specifically revealed to me five key areas that were upon His heart. The Father spoke to me and said, “Jeremiah, the primary area that is upon my heart in this hour is the issue of abortion." Then came a booming, loud, and fatherly voice that said, “LET MY BABIES GO”!!!! I walked up to a huge factory where a line of men and women filled the street. The factory was dark and the hair on my body was standing straight up. The women in line trying to get into the factory were pregnant. As I made my way to the front of the line, I heard screams coming from the inside, blood-curling screams. There was an inscription on the top of the door that read, “House of Horror”. As I walked inside, I realized that this factory was an enormous abortion clinic and I began to weep. There were thousands of cribs in this factory, and the floor was about as big as a football field. 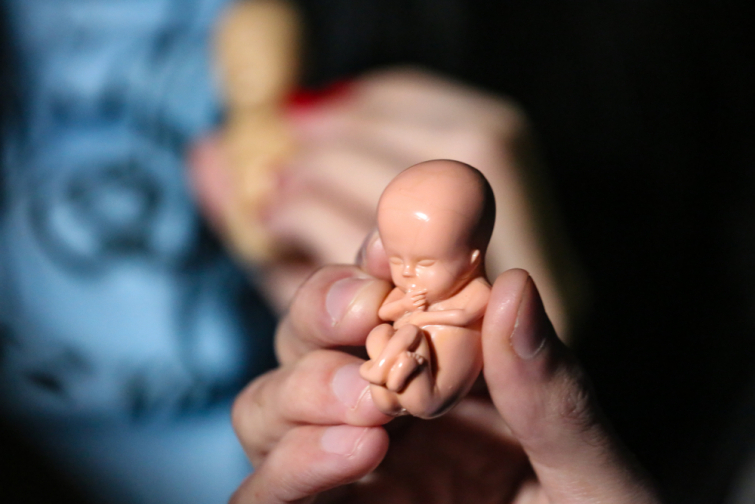 As I began to look inside the cribs, I saw very small fetuses with snakes wrapped around them. It was terrifying. I moved from crib to crib watching these snakes choke and kill these babies. I noticed that the women that had come for the abortions were totally dejected and overwhelmed. Then came a booming, loud, and fatherly voice that said, “LET MY BABIES GO”!!!! All of a sudden, the House of Horror began to shake. It felt like a tremendous earthquake was unearthing the foundation of the factory. Then came a booming, loud, and fatherly voice that said, “LET MY BABIES GO”!!!! I left the factory weeping. I was inconsolable. I began saying to the Father, “But I just want to see your house, Papa! I want to see inside your factory!” He said to me, “So have you asked, so shall I show you.” I immediately turned down a dirt road, and there before me was a glowing factory. It was made of gold and pearls. There were angelic hosts guarding it day and night. There was also a line of people out in front of this factory, just like the House of Horror. When the Father finished speaking to me, I began to walk out of the House of Hope and shake hands with those waiting in line. To my great surprise, I began to notice women even in their 50’s, 60’s, and 70’s standing in line. I said, “Father, them too?” He said to me, “Yes, Jeremiah! You will witness many women who have already birthed and raised children who will be struck to the core to adopt and do it again.” I walked away from the Hope Factory rejoicing but also filled with sadness remembering what I experienced in the House of Horror."